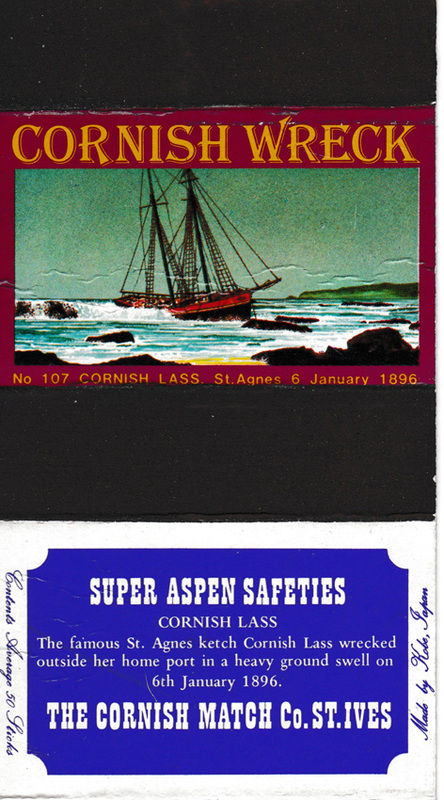 She arrived off St Agnes on 6th January 1896 with a cargo of coal from Lydney. She missed stays and struck the Old Quay Head and with the loss of her jib-boom went into Polperro Cove. At 2 a.m. the ground sea increased driving her onto the rocks. Part of her gear and cargo were salvaged before she was smashed to pieces.